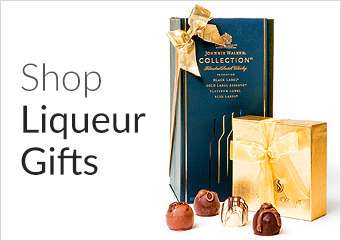 For those occasions when a thank you note just won’t cut it, try our hand-selected collection of liquor gifts. Bringing together some of the best names in the world of spirits, these are gifts that never go out of style. CorporateGift.com is delighted to offer liquor gift sets suitable for your corporate or business needs – from esteemed clients to valuable employees and upper management, we have a sophisticated array of fine wines and spirits for every B2B occasion. Featuring a hand-selected collection of top shelf brands, our liquor gift baskets deliver world-class spirits, including Gray Goose Vodka, Jameson Irish Whiskey, Glenlivet Founders Reserve Scotch, Woodford Reserve Bourbon, Macallan 12 Year Fine Whiskey, and Glenmorangie Lasanta Single-Malt Scotch. 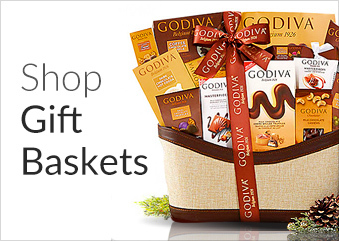 Unique Holiday Gift: Show your appreciation for a job well done with our distinguished assortment of pre-designed gift baskets. Business Thank-You’s: Why send a boring thank-you note when you can express your gratitude with an unforgettable gift of premium spirits? Special Events: Ideal for a promotion, special event or award ceremony, our customized engraved bottles make a personalized gift that won’t soon be forgotten! Whether you’re seeking the perfect corporate gift for your boss or a holiday gift basket for an important account, we carry an upscale selection of gift sets and boxes suitable for any professional setting. From Hella Bitter's The Old Fashioned Kit to Jameson Caskmates Stout Edition and Cigar Gift Set, you’ll find the ideal way to acknowledge business colleagues and fellow professionals. Choose from our assortment of carefully-curated gift items, including engraved bottles, spirit gift sets, single-malt scotch & gourmet snack gift baskets, and so much more – our online marketplace makes gift-giving a breeze for even the most discriminating recipient.